This is the authors’ version of the work. It is posted here by permission of Australian Academic Press for personal use, not for redistribution. Social pedagogy has a longstanding tradition in many European countries. 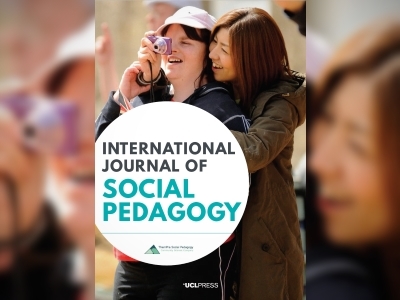 This article outlines its development in relation to culturally specific concepts of children and their upbringing – the pedagogical – and ideas about the relationship between individuals and their community – the social. Both dimensions are closely connected to social pedagogy’s ethical orientation, most notably to respect people as resourceful agents, help them develop their potential and support the construction of a more just society. By drawing on historical thinkers in social philosophy and education, the paper explains how these two dimensions have shaped social pedagogy as an action-orientated science that requires professionals to work in an ethical manner. It concludes by discussing the need for critical reflection in order to ensure profound respect of people’s human dignity and their otherness. In his poem on the ‘hundred languages of children’, Loris Malaguzzi expresses in just a few words a profound ethical and philosophical orientation underpinning social pedagogy. His notion conceptualises children as competent and resourceful, as imaginative and creative, as active inventors and discoverers. In Reggio Emilia, Italy, Malaguzzi has developed an entire pedagogical approach to working in the early years based on the concept of the ‘rich child’. This powerful image has fundamental implications for the relationships and interactions at Reggio Emilia, which are characterised by ‘the careful, respectful, tender “listening” with solidarity to children’s strategies and ways of thinking’ (Vecchi, 2010, p. 29). Reggio Emilia offers an excellent example highlighting what we want to explain in this article: why the way in which children are conceptualised is highly relevant to social pedagogy and how it draws on the professional’s own ethical orientation towards the ‘social’ – how we want to relate to others – and the ‘pedagogical’ – how we think about children’s upbringing and education. In order to highlight the connection between ethics and practice, we have chosen a structure that first provides an overview of social pedagogy and its key characteristics, thus conveying its complexity and close relationship to a given society at a given time. Outlining the need for an ethical orientation and using this as a perspective, the article then examines some of the most influential ideas relating to two dimensions of social pedagogy: the image of humanity and conceptualisation of children and how pedagogy developed through particular notions of children’s inherent richness; and the image of society and how ideas about better human relationships and society’s responsibility for its members led to the demand for, and further development of, a social pedagogy. In doing so, we draw on an historical range of social philosophers, educational thinkers and practitioners, who have shaped social pedagogy and its ethical orientation since the 18th century. As a distinct discipline for child, youth and family support services social pedagogy is relatively young – in its ‘birthplace’ Germany social pedagogy only transformed into a social science in the 1960s (Hämäläinen, 2003; Sünker & Braches-Chyrek, 2009). However, we’ve intended to trace it back to some of its more long-standing socio-philosophical origins of supporting children’s learning and their integration into society. Given these intentions, ours is one of many possible ways of exploring the history of social pedagogy and leaves open many more historic perspectives on social pedagogy – our particular aim to examine social pedagogy from an ethical perspective and the limited scope of this article have influenced us in selecting specific key thinkers and their ideas. Whilst no historic account of social pedagogy could ever be definitive and encompass its entire complexity, we believe that history offers many insights and provokes questions that would not occur otherwise. Lorenz (2008) reminds us that ‘only by exploring the historical roots and trajectories of methods paradigms can we hope to understand their contemporary, cross-national and cross-cultural relevance’ (p. 625). Through this article we hope to convey why we consider social pedagogy as topical, how some very old ideas can still contain new inspiration today and why it is important to connect the historical circumstances that have shaped its development to the present. We have refrained from cross-national comparisons as each reader has their own professional background with its own tradition – and perhaps reading about some of the social pedagogic traditions will inspire readers to reflect upon and re-examine their own profession’s history. Social pedagogy is characterised by a reflexive relationship between theory and practice in which both are developed through the other. As Grunwald and Thiersch (2009) argue, ‘theoretical discourses and models for practice develop in mutual reference, without one simply being derived from the other’ (p. 131). Schumacher (2008) suggests that social pedagogic practice is supported by knowledge but ‘irritated’ by theory, meaning that the relationship must be questioning and critical. To ensure a holistic and critical perspective in practice, social pedagogy draws conceptually on a range of disciplines, such as education, psychology and social sciences as well as macro-economics, theology and philosophy (Böhnisch, Schröer & Thiersch, 2005) that help make sense of the complexity of social issues. Its inter- or trans-disciplinary make-up enables social pedagogues to work with people throughout the life course (Kornbeck & Rosendal Jensen, 2011) and in different contexts in a way that is theoretically and scientifically grounded as well as based on a shared ethos of how to engage with human beings of any age and in any context. This relationship between a practical concern with social issues and theoretical perspectives on those mean that social pedagogy can be described as an action-orientated social science (Staub-Bernasconi, 2007). As such, social pedagogy is closely related to the socio-historical context of the social issues it aims to address. In understanding social pedagogy it is important to take into consideration that social pedagogy has emerged in many European cultures as an educational response to specific social problems. Intrinsic to it is a ‘belief that you can decisively influence social circumstances through education’ (Hämäläinen, 2003, p. 71) and thereby create a more equal and just society. Mollenhauer (1964) describes it as a ‘function of society’ (p. 21) in that social pedagogy reflects how a given society thinks about children and their upbringing (the ‘pedagogical’), about the way in which individuals relate to each other and the wider society (the ‘social’), as well as how it deals with inequality and social exclusion of particular groups (the ‘social pedagogical’). The function taken on by social pedagogy in asking critical questions as well as finding possible solutions within these areas is socially constructed, thus making it difficult to find one definition that would encapsulate social pedagogy in its complexity without trivialising it. Kornbeck and Rosendal Jensen (2009) note that ‘social pedagogy as an idea, a concept, a pedagogical movement and a profession has by and large found broad European acceptance, although the understanding and use of the concept differs from country to country’ (p. 3). For instance, Danish social pedagogy has distinct differences from its German, French or Dutch counterparts as it has emerged through particular cultural preconditions that are unique to Danish society and its history. With Danes holding the notions of solidarity and social inclusion in high esteem, its welfare state shows distinct social democratic characteristics (Esping-Andersen, 1991) and social pedagogy has subsequently developed a strong tradition of supporting the integration of those at the margin of the collective, be this a particular child in kindergarten who is not joining other children in their games or an ethnic minority which is excluded within a community. In contrast and broadly generalising, social pedagogy in Germany – a far bigger and more ethnically diverse society – focuses more on plurality and social justice by ‘constructing the social’ (Thiersch, 2002). This means that social pedagogy aims to shape and influence social conditions in ways that address social inequalities and ensure that different groups within society can preserve their diversity whilst still feeling part of the wider social fabric. 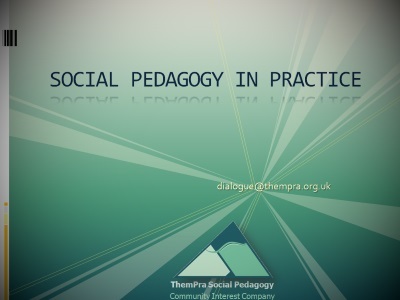 Despite the differences resulting from various cultural contexts as well as different settings there are shared principles connecting these social pedagogic traditions, which underpin the overarching aims of social pedagogy. In illustrating the core aims of social pedagogy, we have suggested elsewhere a model we have termed the Diamond Model (Eichsteller & Holthoff, 2011). It aims to simplify and structure the common threads that have been woven into the historical narrative of social pedagogy since the Enlightenment by identifying four overarching aims of social pedagogy: to enhance well-being and happiness, both at an individual and collective level as well as in the short and long term; to provide holistic learning opportunities and positive experiences throughout the life course; to develop strong, caring and authentic relationships so that people experience themselves as interconnected, as supported by and responsible for others; and to enable individuals and communities to empower themselves, taking responsibility for and control over their own lives. 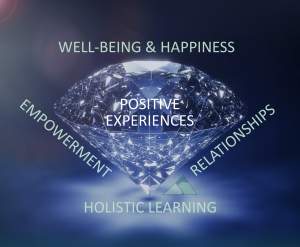 The aims outlined in the Diamond Model should be seen as inseparable, as relating to each other, thus ensuring a holistic perspective that takes account of both the individual, with all that makes them unique, and their social environment. Its name suggests that at the heart of social pedagogy is a belief in the intrinsic richness of human beings, thus reflecting Malaguzzi’s thinking about the ‘rich child’ mentioned above. The social pedagogical relationship is characterised by conceptualising children as resourceful, active agents who are experts for their own lives and possess inherent strengths that can be drawn on in overcoming challenges. These mean that learning, happiness and empowerment are a distinct possibility, with the outcome depending very much on how the relationship is lived. The concept of the ‘rich child’ is not a naïve romanticising idea denying that children are physically weaker than adults or that they have needs. Instead of taking such physiological attributes as the basis for conceptualising children in their entirety, it offers a different perspective that emphasises a more humanistic orientation towards children (Petrie & Moss, 2002). This defines the nature of the relationship and the interaction between social pedagogues and children as intrinsically equal, as based on appreciation and the task of social pedagogy as supporting children’s growth and well-being. In interactions with others, people express their fundamental beliefs and values through their Haltung (see Mührel, 2008). The German term roughly translates as stance, ethos or mindset and refers to the extent to which a person guides their actions by their ethical orientation and lives their values in the everyday. ‘In connection with social pedagogy, Haltung expresses an emotional connectedness to other people and a profound respect for their human dignity’ (Eichsteller & Holthoff, 2011, p. 36). It can be characterised by what Carl Rogers has referred to as ‘Core Conditions’: empathic understanding, congruence and unconditional positive regard (Rogers, 1967, pp. 304). Empathic understanding requires a genuine interest in the life-world of another person, an attempt to empathise with them, as we can support others best when we have a detailed insight into their experiences of the world around them. At the same time, understanding has its limitations as we can never fully empathically understand someone else. Their experiences are unique, because they perceive, and relate to, the world around them in a unique way. Being a different person to us, there remains something unfamiliar or strange about the other, and their Otherness deserves our unconditional positive regard (see Levinas, 1969). Only then can we recognise others’ human dignity. Respecting the Otherness in someone else in both our way of describing them and our interactions with them is therefore paramount to social pedagogy. Importantly, such a professional Haltung cannot be feigned but must be an authentic reflection of our own values and ethical orientation. It requires congruence between what we fundamentally believe and how we encounter others. Congruence also means regarding every person’s human dignity, not just of those people we like and find easy to relate to. Consequently, living by a social pedagogic Haltung is as challenging as it is significant. Our concept of children (or other human beings more generally) lies at the heart of practice and requires ongoing self-reflection in order to remain aware of the impact it has on interactions with others, of how we express this in our actions on a day-to-day basis. It necessitates an ethical orientation that resonates within us both at a personal and professional level. Such concerns are not limited to social care in the United Kingdom but have also been expressed by some Australian academics. Gray, Plath and Webb (2008) suggest that ‘social work is increasingly rendered into a technical calculable form’ (p. xv) and go on explaining that ‘the “gold standard” approach to evidence-based practice [means that] standard, technical procedures are employed, rather than critical analysis and informed judgment’ (p. 48). Plath (2006) argues that evidence-based practice in social work should be underpinned by a critical reflective approach that ‘emphasises the importance of continually analysing the impact of values, relationship, context, past experiences and feelings in seeking to understand individuals and society’ (p. 67). Otherwise, social work runs the risk of being absorbed by a ‘rule-based or prescriptive approach’ (p. 70). A pragmatic-instrumental approach to practice trivialises the complexity of human life and takes little account of people’s individuality and contextual factors characterising their life-world. Both Moss and Petrie (2002) and Smith (2009; 2010) suggest a paradigm shift in order to address the subsequent issues, replacing the technical-rational focus with the notion of ‘ethics as first practice’ (Moss, 2006, p. 38). By beginning our conceptualisation of practice from an ethical orientation, we can build a relationship that aims to preserve the other in their uniqueness and creates the conditions for dialogue. In that dialogue we can jointly explore questions, possibilities, choices as equal partners in an uncertain, complex and unpredictable world. Questions of what is morality, of what constitutes good and bad, right and wrong, lie at the heart of ethics, the philosophical tradition concerning itself with the study of morality. Within postmodernity, the relationship between morality and ethics is characterised in a particular way: Bauman (1993) suggests that in postmodern times we can no longer draw on a universal ethical code to guide our actions and thinking. He notes that ‘ethics – a moral code, wishing to be the moral code, the one and only set of mutually coherent precepts that ought to be obeyed by any moral person – views the plurality of human ways and ideals as a challenge, and the ambivalence of moral judgments as a morbid state of affairs yearning to be rectified.’ (p. 21) But plurality and the ambiguities it brings with it cannot be reduced. Following an ethical code cannot provide us with the certainty that we have acted morally right, as our actions can have far-reaching consequences, touch upon lives we will never know about. They require us to apply our own moral judgment to each choice, to take moral responsibility for each action as ‘we look in vain for the firm and trusty rules which may reassure us that once we followed them, we could be sure to be in the right’ (p. 20). In the absence of universal rules or codes the individual is their own moral agent and needs to apply their own moral principles to different contexts in a way that takes responsibility for the other. Bauman takes a positive view on this, noting that ‘re-personalizing morality means returning moral responsibility from the finishing line (to which it was exiled) to the starting point (where it is at home) of the ethical process’ (p. 35). Instead of being a by-product or an afterthought, personal responsibility is ‘morality’s last hold and hope’ (p.35). It requires an intrinsic moral response that is guided by empathy rather than reason. According to Noddings (1984), the morally decisive factor in an ethic of care is how we encounter others and what kind of relationship we seek with them. In her view, the ethical ideal is a relationship of caring, especially in situations where a caring attitude might not seem natural. Through a caring relationship we are focused on the other to whom we are connected, instead of putting the self in the centre of this relationship (Celikates & Gosepath, 2009, pp. 437). These considerations about an ethic of care relate well to social pedagogy. They demonstrate the social pedagogue’s responsibility to apply moral judgment and to make ethical decisions without being able to rely on ready-made solutions or predetermined answers. The absence of an ethical code that can tell us how to be morally responsible does not leave social pedagogic practice in the moral maze of postmodernity without any reference points. Gruber (2009) introduces five underpinning core values for thinking and acting ethically in social pedagogy: the human dignity of each person, which demands our highest regard; taking responsibility for one’s own moral actions; tolerance in encountering and respecting difference; social justice with regards to the just distribution of participatory and life opportunities (Thiersch, 2009); and solidarity with disadvantaged members of society. These values provide orientation within the subjectivity of human reality in a way that requires from the social pedagogue constant critical reflection and moral decision-making. Within social pedagogy, an ethical orientation comprises two interrelated aspects: first, our image of humanity, particularly our concepts of children and how these influence notions of upbringing and education – the pedagogical dimension; and, second, our idea of society and how individuals should relate to each other, what responsibility individuals have for one another – the social dimension. The two dimensions have occupied philosophers from early on – indeed, many ideas outlined below can be traced back to Classical philosophers like Plato and Aristotle – but their relevance for social pedagogy lies in their interplay, in how social inequalities are addressed in line with these images of humanity and society. Such ideas have only emerged ‘through the Renaissance, the Reformation and later the Enlightenment’ (Hämäläinen, 2003, p. 71) and shaped the ethical orientation of social pedagogy as an academic discipline and profession. The way in which children are described and understood within a particular image of humanity tells much about its overall outlook. Elschenbroich (2002) suggests that ‘children are a key to understanding a nation, not only to comprehend the habits of a society but also its collective intelligence and sustainability’ (p. 1). As every society culturally constructs the ways in which it would like its citizens to interact and the norms and values characterising these interrelationships, certain images of humanity predominate – and with increasing diversity within a society there will be a wider range of images of humanity. Similarly, childhood and children are culturally conceptualised through the discourse involving adults and children themselves, thus making sense of the biological facts of childhood in a particular way. According to Dahlberg, Moss and Pence (1999) ‘our images of what a child is, can be and should be, must be seen as the social construction of a community of human agents, originating through our active interaction with other people and with society’ (p. 62). Therefore, across different cultures and times, childhood has had different meanings attached to it. Throughout history, cultural changes have been accompanied by changes in the cultural construction of childhood. Ariès (1962) suggests that childhood as a distinct phase had not been ‘discovered’ within large parts of society until the 19th century. Throughout the Middle Ages and much of the Industrial Revolution children had been seen as mini-adults and been expected to contribute to the household from as early on as possible. As children gradually entered the picture of social philosophy the early years of life – and the right education – were seen as increasingly important. The Czech philosopher John Amos Comenius (1592—1670) emphasised that children’s upbringing should nurture their natural growth, not form their personality into adults’ preconceptions. The role of the pedagogue was therefore to be a gardener providing the right conditions rather than be a sculptor who moulds after his own image. Similar ideas can also be found with Jean-Jacques Rousseau (1712—1778), the French social philosopher and one of the most influential pedagogic thinkers. Rousseau argued that education must preserve the natural state of childhood by following nature’s laws and described his thoughts on how this could be achieved in Émile, his 1762 novel tracing the upbringing of a young boy. Thus Rousseau promoted a romanticised idea of the child as inherently good and perfect by nature, which defined the role of the pedagogue accordingly. As ‘every mind has its own form’ (Rousseau, 2007, p. 67), the pedagogue must adapt to the child, not vice versa. Innovatively, Rousseau argued that ‘the momentum for learning was provided by the growth of the person (nature) – and that what the educator needed to do was to facilitate opportunities for learning’ (Doyle and Smith, 1997). Due to the popularity of Émile, these notions quickly became widely known and inspired many following pedagogic thinkers. Johann Heinrich Pestalozzi (1746—1827), a Swiss pedagogue, put many of Rousseau’s thoughts into practice and developed them further into a coherent method of educating ‘head, heart, and hands’. In Pestalozzi’s view education was not merely a cognitive process but crucially had to be holistic and relate to the whole child: ‘Nature forms the child as an indivisible whole, as a vital organic unity with many-sided moral, mental, and physical capacities. […] Each of these capacities is developed through and by means of the others’ (as cited in Heafford, 1967, p. 47). The pedagogue’s responsibility was therefore to ensure that nature could take its course undisturbed and to closely observe the child in order to provide the right learning opportunity and support them in their unique natural development. Pestalozzi’s scientific and reflective approach to learning left its imprint in many reformists during the Progressive Education movement, which spread across Europe and other parts of the globe in the late 19th and early 20th century. Maria Montessori (1870—1952), an Italian pedagogue, was initially recognised for finding ways to educate children with learning disabilities, who had been widely considered ‘ineducable’ within society at that time. In her view, no child was ‘ineducable’ if education put children’s nature and uniqueness at the heart. She argued that children are not simply adults in a smaller body but develop and think differently. Her pedagogic philosophy emphasised the importance of self-directed learning involving all of the senses, with the pedagogue supporting children in their learning based on the child’s rather than the pedagogue’s rhythm and pace. Montessori stated that pedagogues must have trust in children’s ‘absorbent mind’ and be confident in their capacities. 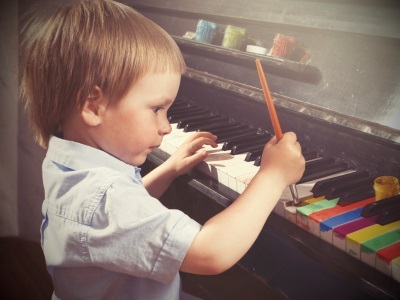 Fitting to this concept of children as competent agents, Montessori’s method emphasises children’s active participation in their environment in order to encourage moral autonomy. Montessori’s powerful ideas have had a huge impact on the way in which learning settings are created and conceptualised. Even today they are widely practiced not only within Montessori kindergartens and schools found around the globe. The work of many more social philosophers and pedagogues has contributed to a resource-orientated understanding of children. This has not only influenced social pedagogy as a discipline but has also permeated societies more widely, as social pedagogy advocates for a positive concept of children. In many social pedagogical concepts the image of humanity has also been closely related to a particular image of society and the role social pedagogy could play within the relationship between the individual and the collective. Throughout much of its history, society’s ethical standard and how to encourage a responsible and respectful togetherness has been a central theme to social pedagogy, often framing pedagogical ideas. Rousseau’s Émile is not merely a novel about upbringing but located within his wider philosophical work about the social conditions at a time where traditional ideas about social hierarchy and a feudal system were increasingly challenged by Enlightenment notions of citizenship and freedom – and finally overthrown in the French Revolution (1789—1799). In his 1762 treatise, The Social Contract, Rousseau theorised a more equal social order characterised by peaceful co-existence and free from the aristocrats’ rule and ensuing repression. The underpinning idea was that by relinquishing their freedom to serve all citizens, each person would serve nobody: ‘each of us puts his person and all his power in common under the supreme direction of the general will, and in our capacity, we receive each member as indivisible part of the whole’ (Rousseau, 2008, p. 24). 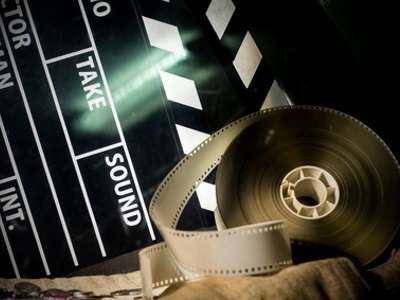 As Celikates and Gosepath (2009) suggest, the Social Contract was built on the idea of the free individual as an acting and thinking, loving and feeling moral subject. Émile’s education in harmony with nature aimed towards this by preserving the boy’s innate goodness – this natural state must be protected from any damaging societal influences, which would corrupt and estrange him from nature and himself. In his most influential book, Lienhard and Gertrud (1819) Pestalozzi outlined a utopian vision of how to achieve a just society with pedagogical means. It tells the fictitious story of a small village community in moral and economical destitution and under the repressive yoke of a greedy squire. A series of socio-economic and pedagogical interventions and restructuring reforms gradually improve the life circumstances for the community by creating more social justice and helping the inhabitants to draw on their potential. Essentially, Lienhard and Gertrud outlines Pestalozzi’s utopian vision of an undamaged, ideal social system: ‘true humanity relates to the extent of humanity present in the entire spirit of the state’s constitution’ (as cited in Niemeyer, 2005, p. 30). This concern not just with individual pedagogy but also with the socio-political aspects and community education show the potential of pedagogy for improving social circumstances and made Pestalozzi a source of inspiration for many pedagogic thinkers who followed. The societal aspect of pedagogy led the German pedagogue Karl Mager to coin the term social pedagogy for the first time in 1844. He described it as a ‘theory of all the personal, social and moral education in a given society, including the description of what has happened in practice’ (as cited in Winkler, 1988, p. 41). As Kronen (1980) writes, Mager considered both individual pedagogy and collective pedagogy as inconclusive, as thesis and antithesis. Social pedagogy, for him, meant the synthesis of both the individualising and the socialising aspects of education. Whilst these might be seen initially as mutually exclusive, he argued that both were needed to mediate between the individual and society. ‘As a new disciplinary field [social pedagogy] explored the linked tasks of preparing individuals for communal and societal life and, at the same time, bringing society as a community to orient its culture and social life towards the personal development and social needs of individuals’ (Lorenz, 2008, p. 634). The first to significantly develop social pedagogy was Paul Natorp (1854—1924), one of the most prominent German educational philosophers in the late 1800s. At that time the Industrial Revolution had brought about enormous social changes in Germany and ‘political revolutions that replaced feudalism with political systems based on democratic procedures’ (Lorenz, 2008, p. 628). The ensuing modernisation and urbanisation had a divisive effect on society. Some people exploited the opportunities created by capitalism and became wealthier than ever before, but industrialisation also brought with it mass poverty and destitution amongst the working class in the course of the 1800s (Lorenz, 2008). Natorp’s monograph Religion within the Boundaries of Humanity: A Chapter for the Establishment of Social Pedagogy (Natorp, 1894) searched for answers to the so-called ‘social question’, which encapsulated the complex social issues facing German society at that time. He saw the cause for many of these social problems in the power disparity between capital and poor labour, prompting the moral decay of society which he considered far more corrosive than material hardship. His social pedagogy therefore offered a decidedly pedagogical answer to the social question, educating both the young and the old to create a strong sense of community and a positive relationship between the individual and society, thus overcoming the divide between rich and poor (Niemeyer, 2005). 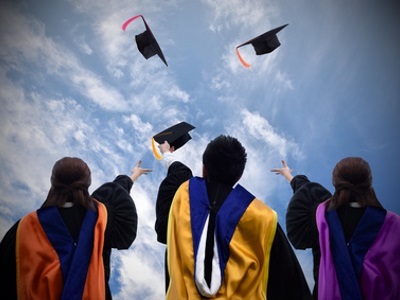 By strongly emphasising the potential of pedagogy to improve social problems in the present rather than through the education of the future generation Natorp added an important dimension to social pedagogy. Education was no longer limited to children but equally applied to adults, and it could be used to influence and optimise the social system. As a newly created nation through the unification of an array of small states under the Prussian chancellor Otto von Bismarck, the German Empire was in its infancy at that time. It faced the challenge of improving the social integration of different classes in society and the cultural integration of the many regional and cultural affiliations (Lorenz, 2008). In tackling the social and cultural division, Bismarck created ‘the first state legislation of any country that secured social rights and guaranteed a minimal, insurance-based social protection, first in the case of industrial illness and accident and expanding gradually to illness generally, unemployment and old age’ (Lorenz, 2008, p. 632). Within the expanding welfare state, social pedagogy found its role and managed to establish itself as a discipline. Through the work of Herman Nohl and his colleagues social pedagogy became more scientific and embedded within academia in a particular manner. The intellectual climate in Germany considered the humanities as equal to natural sciences, thus acknowledging the importance of a hermeneutic-interpretative approach to gaining insights into the human world rather than understanding through scientific detachment. According to Lorenz (2008), ‘in this intellectual climate, the creation of “the social” becomes almost automatically a pedagogical question – a matter of instituting a pervasive education project’ (p. 633). Social pedagogy was reinforced by social policies which gave it the mandate to become the driving force for social progress. The National Youth Welfare Act from 1924 established a policy framework in which social pedagogy, and particularly youth work, gained in importance. This was reflected in the creation of institutional establishments, such as youth welfare departments and youth courts (Sünker & Braches-Chyrek, 2009; Konrad, 2010). As a result, social pedagogy became more a tool for socialisation and closely connected to the welfare state. Mediating between the individual and society requires a degree of independence, of impartiality. As the precarious balance between the individualising and socialising aspects in social pedagogy tipped towards socialisation during the Nazi reign, social pedagogic practice was utilised to indoctrinate Germany’s young generation in the Hitler Youth and to realise the Arian ideal of society. The great importance given to youth work was positively received within the discipline and only gradually became more racially charged. Lorenz (2008) notes that ‘despite this very obvious exploitation of social pedagogy for political ends, most social professionals who had not lost their positions on racist or political grounds either failed to reflect on the political implications of their work of social pedagogy or enthusiastically subscribed to its ideological programme’ (p. 638). This horrific experience within a totalitarian regime demonstrates why an ethical and political approach to education and care is of fundamental importance, why ethical concerns must have priority over any other considerations when it comes to practice. Having experienced how de-politicised large areas within the social pedagogy field had been during the Nazi regime, the post-war period saw social pedagogy re-evaluate its relationship to the state and take on a more social critical function. The need to critically reflect and to recognise that within social pedagogy the ethical is also political became engrained in German social pedagogy through the work of Klaus Mollenhauer (1928—1998) after World War II. He considered the aim of social pedagogy not only to socialise children by passing on ‘cultural self-evident truths’ (Mollenhauer, 1964, p. 28) but also to encourage them to be self-enlightened, free, critical thinkers so that they could challenge what they were taught. In educating children towards moral autonomy Mollenhauer suggested they should learn to take responsibility for themselves and be more encouraged to take responsibility for the wider community. Such a dynamic and democratic society, he hoped, would prevent any totalitarian regime to ever take control again. Since then social pedagogy has been occupied with developing approaches that centre on human dignity, especially of those most disadvantaged, solidarity with the weakest in society and the creation of a more socially just society. 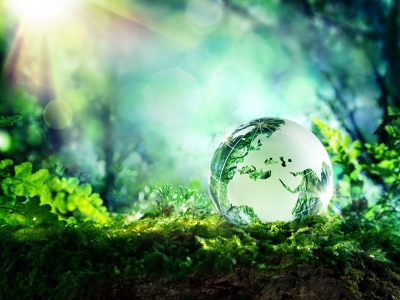 One of the most influential concepts has been ‘life-world orientation’. Developed by Hans Thiersch since the 1970s, it offers a conceptual framework for professional practice with a strong ethical foundation. Grunwald and Thiersch (2009, p. 135) suggest that life-world orientation is conceptually based on a range of traditions: hermeneutic-pragmatic pedagogy, which goes back to Nohl (1949), suggests that understanding requires deep insights into a person’s subjective interpretation of the world, which cannot be achieved through a detached approach; Goffman’s (1969) symbolic interactionism and social constructivism (Berger & Luckmann, 1966) further emphasise that subjectivity, thinking patterns and the structures of people’s everyday lives are formed by processes of interaction between people and therefore need to value their subjective experience over any ideas of an objective reality; life-world orientation is further substantiated by more contemporary social analyses, such Habermas’ theory of communicative action (1984), Beck’s outline of the cultural construction of risk in the ‘risk society’ (1992) and Bourdieu’s concept of habitus (1990). Life-world orientation suggests that in order to be successful social pedagogic practice must meet individuals in ways that focus on ‘their direct experience, their living contexts, their life skills and the strength of their self-responsibility’ (Grunwald & Thiersch, 2009, p. 132). This requires a respectful and tactful attitude towards others, which sees individual action as a response to how a person perceives the world around them, thus telling us something about their life-world. It would be easy to judge another person based on our own values, to see ourselves as superior to others with a different value system. The notion of life-world orientation intends to make us sensitive and reflective of what values and fundamental beliefs we bring to our practice. Do we judge the parents who send their child to school unwashed, in dirty clothes, and without a packed lunch? Or do we try to understand the day-to-day struggles that might characterise their reality? And which Haltung is more constructive if our role is to support that particular child? By posing, and continually critically reflecting on, questions about morality social pedagogues aim to not become the moral judge but to respect the human dignity of others. This is not just of importance for the individual social pedagogue and their practice but also offers a critical perspective within the socio-political discourse of current affairs. As a critical and moral voice of society it offers questions for reflection and perspectives from those heard less often, so that different members of society can gain some insights into each others’ life-worlds. In drawing on historical ideas and philosophical perspectives we have outlined a social pedagogy that may not be practiced in that way, that may not have existed nor ever become a reality. Whilst this may give social pedagogy a utopian flavour, it could be seen as a ‘lighthouse’, providing orientation for us as professionals and an opportunity to reflect where we are and where we want to go. As a paradigm underpinned by a strong ethical orientation it has been shaped by many people who challenged existing social conceptualisations of who children are, what their education and upbringing should look like or how society could become a supportive network to each individual, even the most disadvantaged or marginalised. Even though these ideas and developments are deeply rooted in specific contexts – reflecting social, historical, philosophical and political characteristics – they have transcended these cultural and temporal boundaries and had a much wider influence and relevance, which can be felt even today. They show how powerful ideas can be, how much impact our principles, values and ethos can have. Pestalozzi failed several times in implementing his philosophy of educating head, heart, and hands, but he never gave up believing in that it was the ethically right approach. And where he failed others were more successful in putting his ideas into practice and carried his principles forward. With its ethical foundation, social pedagogy makes it possible for many different professionals to relate to it in their practice – irrespective of the people they work with or the qualifications they might hold. 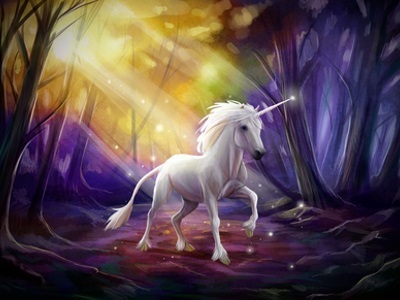 It does not claim to lead to success or solve all problems or have all the right answers. These cannot be given but must be developed in dialogue within each relationship. The relational aspect of social pedagogic practice means that every day brings something new and unforeseen as every child is unique and brings all their uniqueness into that relationship. As it is impossible to have a rulebook that would adequately cover the complexity and endless possibilities enshrined within each relationship, all that social pedagogy can do is give professionals the confidence needed for each new encounter, to trust their own and the other’s abilities. It guides them in their journey of discovering how to develop practice and how to get a little nearer to the aspirational aims that social pedagogy symbolises. In social professions the ethical is often challenged, the welfare state under pressures to justify its existence and argue what contribution it has to make. Perhaps this makes it even more important to put an ethical orientation at the heart of practice that requires us to ask the critical questions instead of adopting someone else’s answers. The history of social pedagogy demonstrates that by putting ethics first it is possible to shape the social and political context. Its reflexive relationship with the welfare state means that it is not just influenced by policies and society, but through its practice as well as academic discourse influences these. But perhaps more importantly for us as professionals is that by employing an ethical orientation we can help the people we work with believe that they can change, we can role-model through our Haltung how to take moral responsibility not just for ourselves but for the other. Thus, individually and collectively, we can help society construct the social sphere and ensure that the social context enables human growth. And we can be optimistic in this endeavour because each child and each adult possesses inherent richness and speaks a hundred languages – if we encourage and support them, if we help them recognise that ‘the hundred is there’, as Malaguzzi’s poem ends. Ariès, P. (1962). Centuries of Childhood: A Social History of Family Life. New York, NY: Vintage Books. Bauman, Z. (1993). Postmodern Ethics. Oxford: Blackwell Publishers. Bauman, Z. (2000). Am I My Brother’s Keeper?. European Journal of Social Work, 3(1), 5-11. Beck, U. (1992). Risk Society: Towards a New Modernity. London: SAGE Publications. Berger, P.L., & Luckmann, T. (1966). The Social Construction of Reality. Garden City: Anchor. Böhnisch, L., Schröer, W., & Thiersch, H. (2005). Sozialpädagogisches Denken. Wege einer Neubestimmung. Weinheim: Juventa. Celikates, R., & Gosepath, S. (2009). Philosophie der Moral. Frankfurt/Main: Suhrkamp. Comenius, J.A. (1896). The Great Didactic. London: Adam & Charles Black. (original work published 1649). Dahlberg, G., Moss, P. & Pence, A. (1999). Beyond Quality in Early Childhood Education and Care: Postmodern Perspectives. London: Falmer Press. Edwards, C., Gandini, L., & Forman, G. (1998). The Hundred Languages of Children: The Reggio Emilia Approach – Advanced Reflections (2nd ed). Westport: Ablex. Eichsteller, G. & Holthoff, S. (2011). 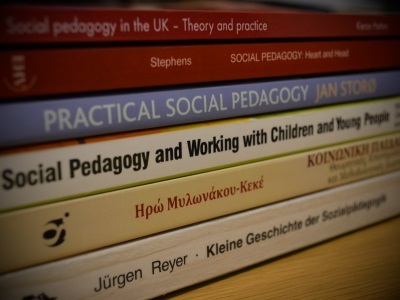 Conceptual Foundations of Social Pedagogy: A Transnational Perspective from Germany. In C. Cameron & P. Moss (Eds. ), Social Pedagogy and Working with Children and Young People. London: Jessica Kingsley Publishers. Elschenbroich, D. (2002). Weltwissen der Siebenjährigen: Wie Kinder die Welt entdecken können. München: Goldmann. Esping-Andersen, G. (1991). The Three Worlds of Welfare Capitalism. Princeton: Princeton University Press. Goffman, I. (1969). The Presentation of Self in Everyday Life. London: Allen Lane. Gray, M., Plath, D., & Webb, S.A. (2009). Evidence-based Social Work: A Critical Stance. Abingdon: Routledge. Gruber, H.-G. (2009). Ethisch denken und handelnd. Grundzüge einer Ethik der Sozialen Arbeit (2nd ed.). Stuttgart: Lucius & Lucius. Grunwald, K. and Thiersch, H. (2009). The Concept of the Lifeworld Orientation for Social Work and Social Care. Journal of Social Work Practice 23(2), 131-146. Habermas, J. (1984). The Theory of Communicative Action. Boston: Beacon Press. Hämäläinen. J. (2003). The Concept of Social Pedagogy in the Field of Social Work. Journal of Social Work 3(1), 69-80. Heafford, M. (1967). Pestalozzi. Bungay: The Chaucer Press. Konrad, F.M. (2010). Zur Geschichte und Pragmatik des Vergleichens in der Sozialpädagogik. Drei Fallbeispiele aus den zwanziger Jahren. In R. Treptow (Ed. 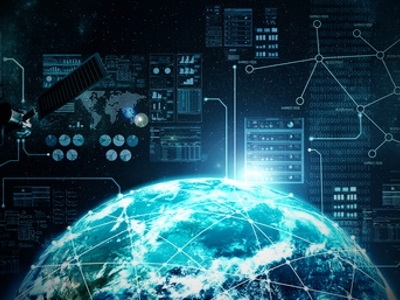 ), Internationaler Vergleich und soziale Arbeit: Theorie, Anwendung und Perspektive. Bremen: Europäischer Hochschulverlag. Kornbeck, J. & Rosendal Jensen, N. (2009). The Diversity of Social Pedagogy in Europe. Bremen: Europälischer Hochschulverlag. Kornbeck, J. & Rosendal Jensen, N. (2011). Social Pedagogy for the Entire Lifespan. Bremen: Europäischer Hochschulverlag. Kronen, H. (1980). Sozialpädagogik: Geschichte und Bedeutung des Begriffs. Frankfurt/Main: Haag & Herchen. Lorenz, W. (2008). Paradigms and Politics: Understanding Methods Paradigms in an Historical Context: The Case of Social Pedagogy. The British Journal of Social Work 38(4), 625-644. Mollenhauer, K. (1964). Einführung in die Sozialpädagogik. Weinheim: Beltz Verlag. Moss, P. (2006). Structures, Understandings and Discourses: possibilities for re-envisioning the early childhood worker. Contemporary Issues in Early Childhood 7(1), 30-41. Moss, P. & Petrie, P. (2002). 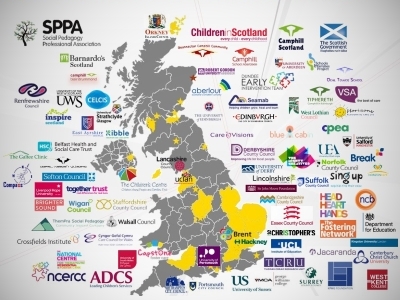 From Children’s Services to Children’s Spaces: Public Policy, Children and Childhood. London: RoutledgeFalmer. Mührel, E. (2008). Verstehen und Achten: Philosophische Reflexionen zur professionellen Haltung in der Sozialen Arbeit. Essen: Die Blaue Eule. Natorp, P. (1894). Religion innerhalb der Grenzen der Humanität: Ein Kapitel zur Grundlegung der Sozialpädagogik. Freiburg/Leipzig: Mohr. Niemeyer, C. (2005). Klassiker der Sozialpädagogik: Einführung in die Theoriegeschichte einer Wissenschaft (2nd ed.). Weinheim: Juventa Verlag. Noddings, N. (1984). Caring: A Feminine Approach to Ethics & Moral Education. Berkeley: University of California Press. Nohl, H. (1949). Pädagogik aus dreißig Jahren. Frankfurt/Main: Schulte-Bulmke. Pestalozzi, J.H. (1964). Schriften aus den Jahren 1808-1809 (ed. E. Dejung & H. Schönebaum). Zürich: De Gruyter Verlag. (Original work published 1808-1809). Pestalozzi, J.H. (1999). Lienhard und Gertrud. Bad Heilbrunn: Verlag Julius Klinkhardt. (Original work published 1819). Rogers, C. R. (1967). On Becoming a Person: A Therapist’s View of Psychotherapy. London: Constable. Rousseau, J.J. (2007). Émile, or on Education. Sioux Falls: NuVision Publications. (Original work published 1762). Rousseau, J.J. (2008). The Social Contract. New York, NY: Cosimo Classics. (original work published 1762). Schumacher, T. (2008). Soziale Arbeit als ethische Wissenschaft. Topologie einer Profession. Stuttgart: Lucius & Lucius. Smith, M. (2009). Rethinking Residential Child Care. Bristol: Policy Press. Smith, M. (2010). A Brief History of (Residential Child Care) Ethics. Scottish Journal of Residential Child Care, 9(2), 2-11. Staub-Bernasconi, S. (2007). Soziale Arbeit als Handungswissenschaft. Bern: Haupt Verlag. Sünker, H. & Braches-Chyrek, R. (2009). Social Pedagogy in Germany. In J. Kornbeck & N. Rosendal Jensen (Eds. ), The Diversity of Social Pedagogy in Europe. Bremen: Europäischer Hochschulverlag. Thiersch, H. (2002). Positionsbestimmungen der Sozialen Arbeit. Weinheim: Juventa. Thiersch, H. (2009). Schwierige Balance: Über Grenzen, Gefühle und berufsbiografische Erfahrungen. Weinheim: Juventa. Tronto, J.C. (1994). Moral Boundaries: A Political Argument for an Ethic of Care. London: Routledge. Vecchi, V. (2010). Art and Creativity in Reggio Emilia: Exploring the Role and Potential of Ateliers in Early Childhood Education. London: Routledge. Webb, S.A. (2006). Social Work in a Risk Society: Social and Political Perspectives. Basingstoke: Palgrave Macmillan. Winkler, M. (1988). Eine Theorie der Sozialpädagogik. Stuttgart: Klett-Kotta.